Hi! After such a long time, finally I decided to update my blog and make the newest review. 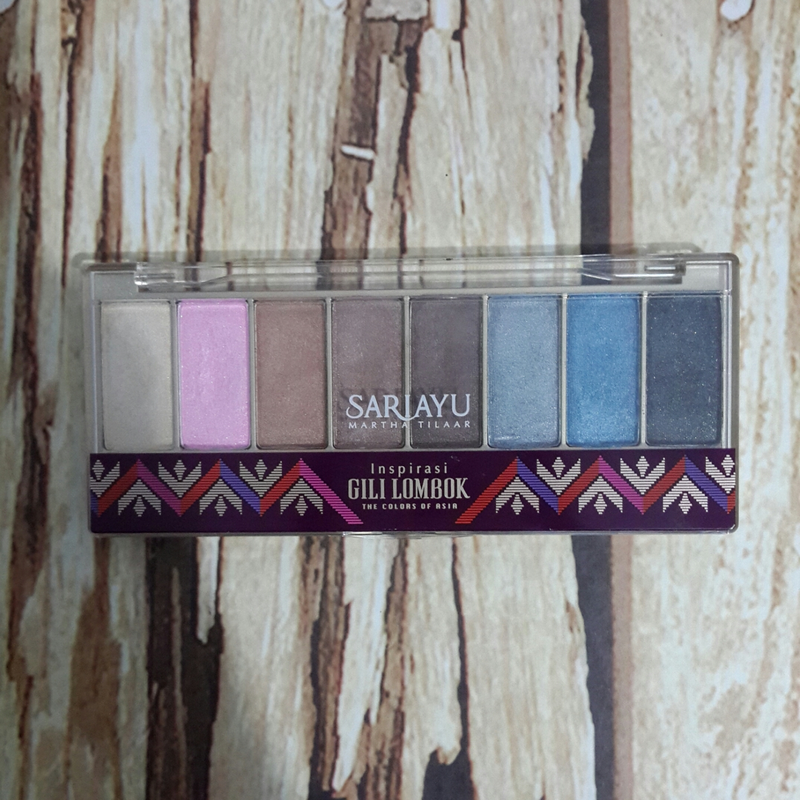 This time is for Sari Ayu Inspirasi Gili Lombok Eyeshadow. As you already know, Sari Ayu is one of many brand from Martha Tilaar, local brand from Indonesia which has a lot of high quality make up and skincare. Hai! 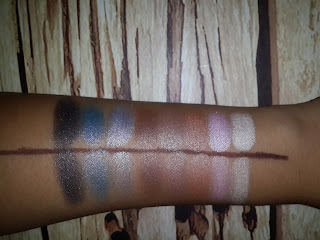 Setelah sekian lama bertapa, akhirnya aku memutuskan untuk kembali membuat review terbaru yaitu Eyeshadow Sari Ayu Inspirasi Gili Lombok. Seperti yang kalian tahu, Sari Ayu ini salah satu brand keluaran dari Martha Tilaar, sebuah brand lokal Indonesia yang kualitasnya tidak perlu kalian ragukan. 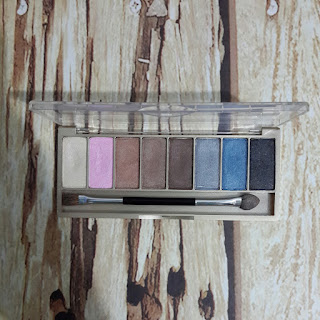 For you all who had know me from a long time will understand that I always love shimmery eyeshadow, yes, even for daily life I would like to use shimmery eyeshadow. So, well... forgive me. 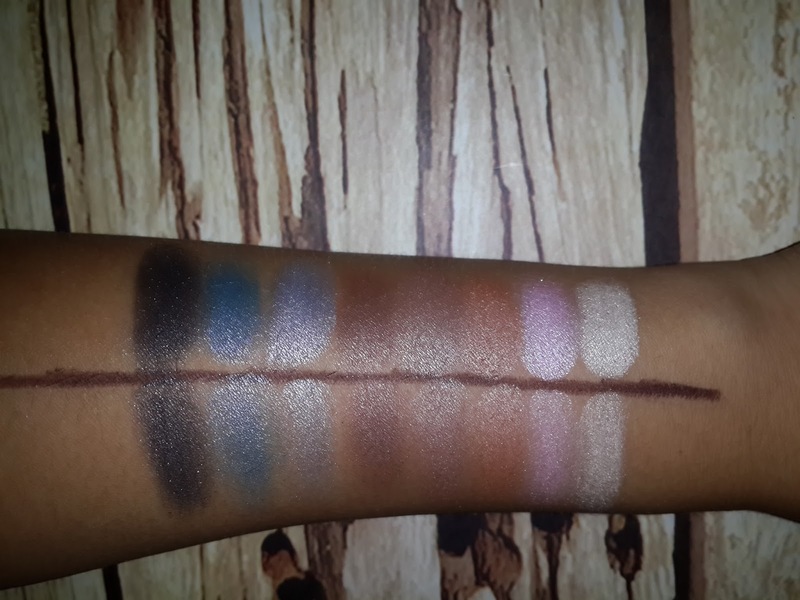 Sari Ayu Inspirasi Gili Lombok Eyeshadow has shimmery colors, I mean, all of the colors are shimmery. This is sooo me. You will got one dual applicator like this. 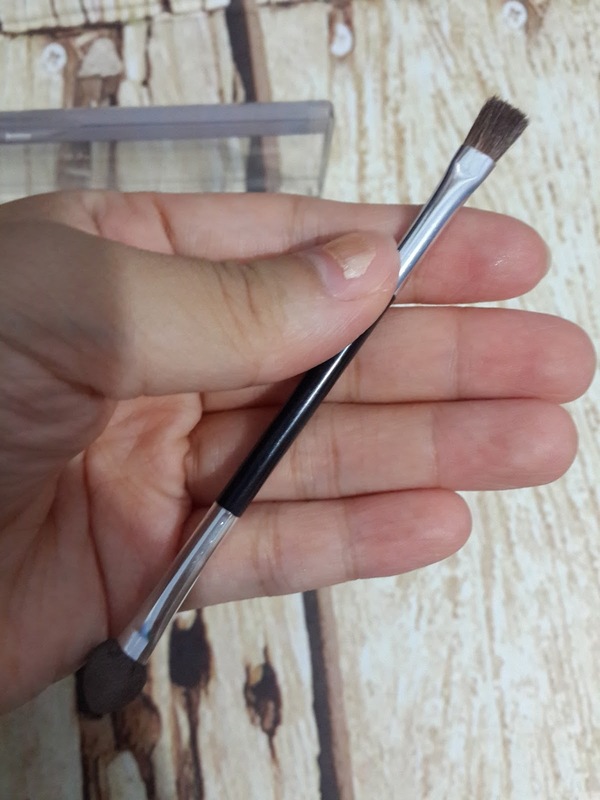 One side is kind of sponge applicator that you've known, and the other side is for blending the eyshadow. Kalian akan mendapatkan dual applicator seperti di foto, satu sisi berupa aplikator sponge yang biasanya ada di eyeshadow, dan satu lagi untuk blending. These are the swatches from yellow to black. I used Viva Eye Base Gel for the top part, and no base for the bottom part. Ini adalah swatch nya dari warna kuning ke hitam. 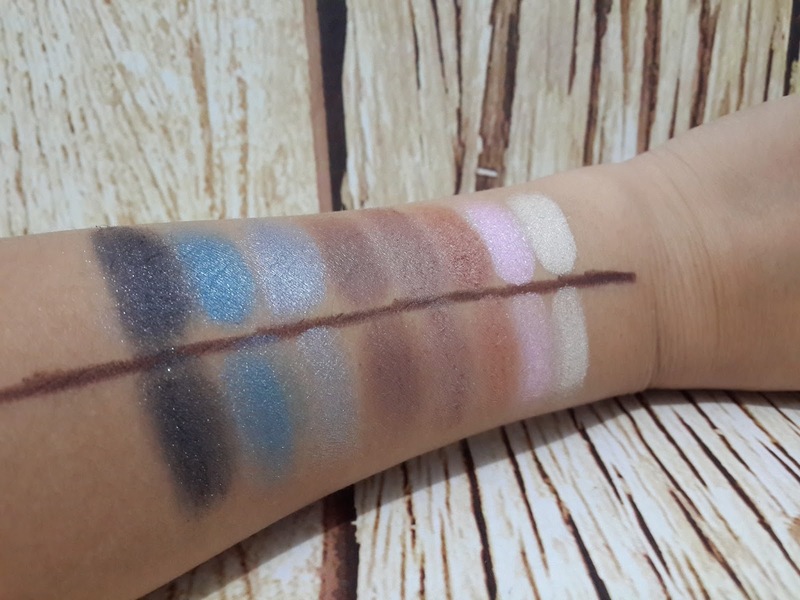 Aku memakai Viva Eye Base Gel buat swatch bagian atas dan tidak memakai base apapun untuk swatch bagian bawah. As you can see, the colors are so pigmented. Even without eye base, the colors still come out prettily. But be careful, this eyeshadow has quite a lot of fall out. But actually I don't really care about that, We can always fix that, right? Haha~ For me, this eyeshadow lasts long enough without creasing. So from my overall review, I made some points for my conclusion.